Your passport to the best in International Railway Modelling.Regarded as essential reading for every enthusiast who models the different railways of the world. 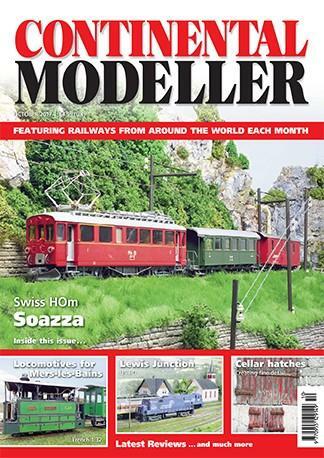 Each month a subscription to Continental Modeller magazine shows you how to reproduce foreign railway scenes perfectly and is filled with regular tips and articles intended to inspire beginners and experts alike.Filled with many exciting layouts including photographs, illustrations and plans and also boasts a huge range of display advertisements for those seeking to purchase further model equipment. Be the first person to tell us what you think about Continental Modeller (UK) and you'll save $5 on your next purchase!